I was raised in Virginia and fortunate to have lived near Washington DC. I spent hours in the national Gallery of Art, sitting and writing poetry—with a pencil. Pens were not allowed. I attended schools up and down the East Coast (New York to Florida). At the University of South Florida, I was selected to be a university representative to the South Florida Poetry Festival, and those poems were my first true poetry publications. After school I taught English, reading, special education, study skills, speed reading, statistics and research design. Then I changed careers to mainframe programming, then to instructional design for major corporations. Lastly, I returned to my great love of teaching, at a favorite level, the community college. During most of this time I wrote. I wakened an hour early (5 to 5:30 AM) and wrote until I went to work. Often I wrote at night after grading papers. My first computer was an Apple IIe with WordPerfect, version 1. I loved it. When my husband studied for his Engineer-In-Training (EIT) and Professional Engineer (PE) examinations, I was free to write all evening and weekends. I moved from Los Angeles to San Antonio for so many reasons I couldn’t name them all. I continued to teach and write and even started a Poets & Writers Group at the college where I taught. Now I teach senior citizens poetry. Many are award-winning poets, and I feel honored. 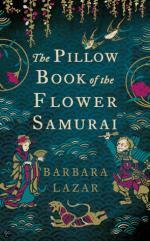 Enough about me, except to say I hope you enjoy the 40+ poems in Pillow Book of the Flower Samurai. The diary/prose with poetry was the style of aristocratic ladies in the Heian Period (794-1185). Hi, by any chance did you teach elementary school in the 1960’s for New Burlington Elementary school in the Cincinnati area for Mt. Healthy City Schools. 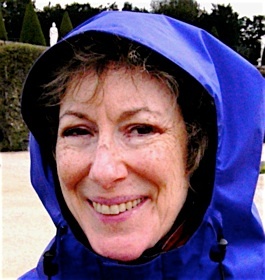 My favorite teacher was Barbara Lazar in the second grade and she ended up moving to Seattle Washington. My mom and I would write her but we lost track. Thank you!